or email Penny@theworldfootballprogramme.com for more information. The team has already raised several thousand dollars over the past few weeks to help our womens squad get to the World Masters Games in Italy in August. The ladies are playing a scratch match this Sunday at Rosalie Park Subiaco at 1pm. Watch out for Football 360 in the coming weeks on FootballWest.com.au. 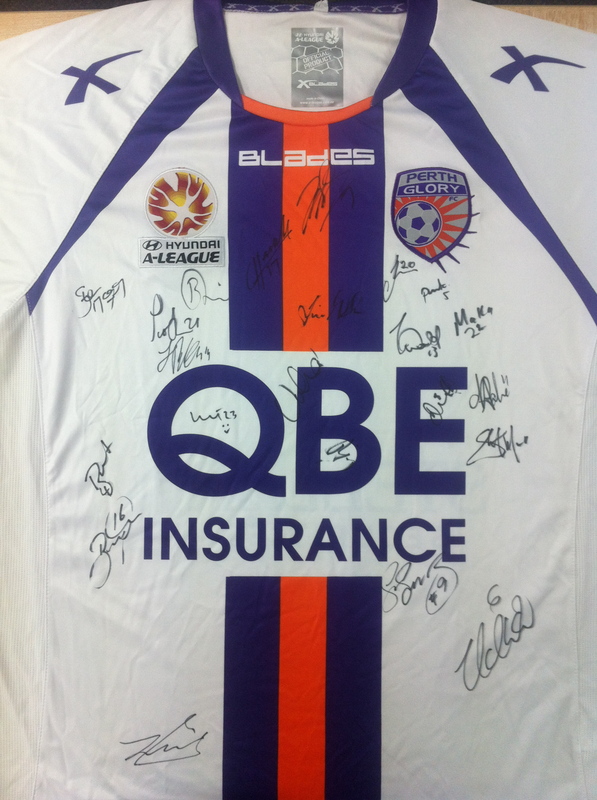 Thank you to Perth Glory for donating this signed shirt. It will be advertised in the Glory newsletter from Thursday July 4. Make your offers to buy the shirt to penny@theworldfootballprogramme.com.